by Alan H. Molod, Esq. 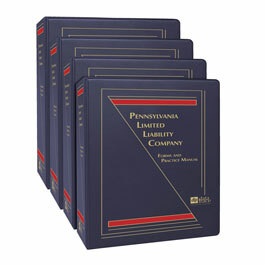 Prominent Pennsylvania attorney, Alan H. Molod, Esq., has drawn from his extensive experience to bring you strategies and forms for virtually every situation you may encounter in this newly revised three-volume Manual featuring a bonus CD with more than 200 electronic forms. 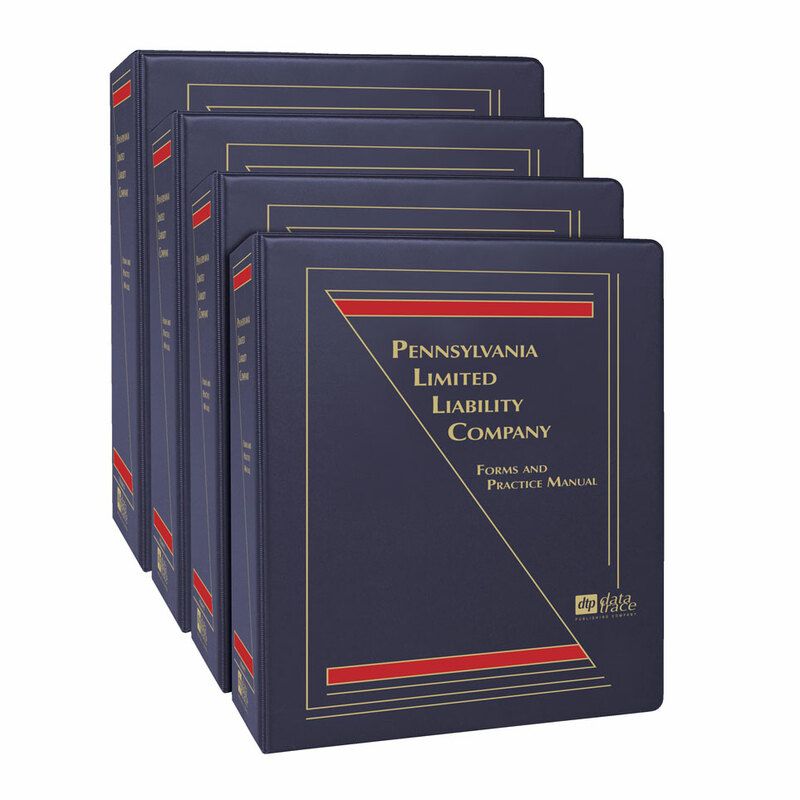 This extensive, updated manual, with its more than 2,300 pages of valuable content, will help you stay current and efficient by providing appropriate statutes and regulations — complemented by thorough discussions and analyses of any changing federal and Pennsylvania state laws. Plus, you'll be expertly guided through an extensive selection of appropriate LLC forms using an easy-to-follow format. Included are customizable electronic forms as well as explanations and planning strategies for the LLC business structure. Alan H. Molod, Esq., is of counsel to Astor Weiss Kaplan & Mandel, LLP. Before joining Astor Weiss, he was a partner for 39 years and of counsel in the Corporate Department of Wolf Block LLP (formerly Wolf, Block, Schorr and Solis-Cohen, LLP). He focuses on business transactions and has extensive experience in mergers, acquisitions, and business reorganizations. As a long-time active member of the Title 15/Business Associations Committee of the Section on Business Law of the Pennsylvania Bar Association, Mr. Molod has had a hand in drafting the statutes governing the organization and operation of corporations, partnerships, LLCs, LLPs, and other business entities, and he also serves on the Section on Business Laws LLC Standard Forms Project Task Force. In the Philadelphia Bar Association he served on the executive committee of the Business Law Section and as chairman of its Corporate Law Committee and has served on the Steering Committee of the Association's Committee on Securities Regulation. In the American Bar Association he has served on numerous committees and was the President and then Chairman of the Board of the Fellows of the Young Lawyers of the American Bar Association. Mr. Molod is also a contributing editor to The Mergers and Acquisitions Handbook (McGraw-Hill). He received his B.S. in Economics from the Wharton School of the University of Pennsylvania; his LL.B. from Yale Law School; and his LL.M. from New York University Law School.